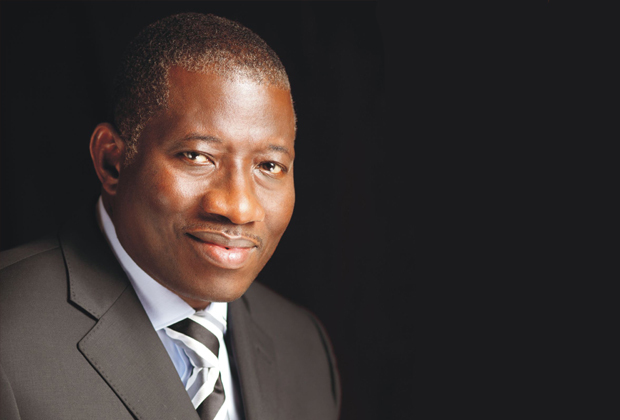 The Nigerian state, during the five-year Presidency of Goodluck Ebele Jonathan, earned a total of N51 trillion from petroleum resources. The money is part of the N96.212trillion the country earned in 58years of crude oil sales. Of this princely sum, which accounts for about 80 per cent of the country’s revenue, only N12.258 trillion (just about 14% of total) has been paid to the oil producing areas as derivation. The figure is N35.848 trillion less than the N48.106 trillion the oil-bearing regions should have received as derivation if 50 per cent derivation had not been jettisoned few years after crude oil became the chief revenue earner for Nigeria. The figures are the outcome of research by Sunday Vanguard, relying on documents from the Petroleum Inspectorate, NNPC, CBN Annual Report and Statement of Account, Nigeria Bureau of Statistics and the Nigeria Extractive Industry Transparency Initiative, NEITI. In the face of biting contemporary economic realities Nigerians are contending with, there is a consensus that the different tiers of government – federal, state and local government councils – have indeed squandered the nation’s earnings. Even the modest attempts at saving for the rainy day with the creation of, first, the Excess Crude Account, ECA -which suffered mismanagement occasioned by under-hand spending by the Federal Government that was supposed to hold the funds in trust – and, thereafter, the controversial and ineffectual Sovereign Wealth Fund, SWF – which became a subject of litigation and high-wire politicking between the Federal Government and the leadership of the Nigeria Governors’ Forum, NGF – suffered from the typically Nigerian insincere approach to economic management. A breakdown of the earnings shows that between 1958 and 2007 (CBN Annual Report and Statement of Account, 2008), Nigeria earned N29.8 trillion from petroleum resources. And between 2008 and June 2016, the country generated N66.412 trillion. Between 1958 and 1966, Nigeria earned N140 million from crude oil; 1967 to 1975, the General Yakubu Gowon got about N11.03 billion; while the late General Murtala Mohammed/ Olusegun Obasanjo military regime scooped about N25 billion from 1975-1979. In like manner, the civilian administration of President Shehu Shagari earned N36 billion oil money; Buhari, in his first coming as military head of state (1984-85), earned about N25 billion; General Ibrahim Badamasi Babangida, 1985 to 1993, N420 billion; the Ernest Shonekan/Abacha regime (1993-1998), N1.6 trillion; and General Abdulsalami Abubakar regime (1998-1999), N350 billion. With the return to civil rule, Nigeria, under President Obasanjo realised about N27 trillion from crude oil between May 1999 and May 2007. His successor, Umaru Yar’ Adua, reaped about N9 trillion in his almost three-year rule before he passed on. The luckiest of the leaders is former President Goodluck Jonathan, whose administration in five years, between 2010 and 2015, earned about N51 trillion from petroleum resources. Since he came to power on May 29, 2015, the President Buhari administration has been able to earn just about N6 trillion from crude. However, the huge earnings, since 1958, arguably, have translated to little or no improvement on the welfare of the citizenry, especially the people of the oil-producing areas, whose environment – land, water and air, has been adversely contaminated and, in many cases, devastated and polluted.